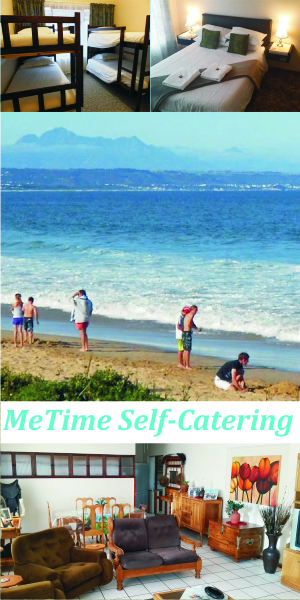 Mossel Bay (Afrikaans: Mosselbaai) is a town with 150,000 inhabitants in the Western Cape province of South Africa. It lies on the southern coast of South Africa, east of the Cape of Good Hope and west of Knysna on the Indian Ocean coast and is part of the Garden Route. Portuguese explorer Bartolomeu Dias arrived here on February 3, 1488, thus proving to his sponsors that Africa had a southern tip; making it theoretically possible to sail from Europe to India. Originally called by Dias Aguada de São Brás (Bay of Saint Blaise), the harbour and surrounding area was renamed Mosselbaai (Bay of Mussels) in 1601 by Dutch navigator Paulus van Caerden, as he found the bay to be abundant with mussels. He also called a nearby bay, where he found cattle herders, Vlees Bay (Bay of Meat). On January 28, 1846 the British renamed the town as Aliwal South in honour of the British victory at the Battle of Aliwal in India. However this name never caught on and the town reverted to Mossel Bay; this explains the now redundant North in Aliwal North. It received municipal status in 1852. Mossel Bay is also the birthplace of the 2010 Open Championship Winner Louis Oosthuizen. Nomadic Khoisan people were the first inhabitants of the Mossel Bay area. Caves in which the remains of several Khoisan settlements have been found are located nearby, with the one located at the starting point of the walking trail to the nearby town of Dana Bay, now a national monument. A Khoisan cultural village is also located at the cave, but has been criticised for being “commercial”. Other tribes also lived in the area, including the Gouriquas. Certain traditional leaders have asked that the town be renamed “Gouriqua”. A more recent discovery at nearby Pinnacle Point is claimed to be the earliest evidence of human seaside settlement. The first contact between Southern Africans and Europeans took place in Mossel Bay in 1488 between Dias and the Khoisan, on Santos Beach. The meeting was peaceful and both sides were willing to trade. Dias erected a cross, and called the bay Aguada de São Brás, as they landed on the festival day of Saint Blaise. The first trading between the inhabitants of Europe and Southern Africa was in 1497 between Vasco da Gama and the local Khoi-San tribe. In the following years, Portuguese sailors would use the bay, where the Khoi-San offered them food, as a halfway station to the Far East. A small stream was used for fresh water. A large milkwood tree served as a post office with Pedro de Ataide’s 1500 posting of an important letter in a shoe under the tree. Important letters would be left in a shoe and picked up by later ships. In 1500 or 1501 João da Nova erected the Mossel Bay Stone, which marked a chapel dedicated to Saint Blaise. The first settlers were granted land in Mossel Bay in 1729, 77 years after the Dutch settled in Cape Town. The Dias Museum Complex marks the spot of the historical landing of Bartolomeu Dias. The 500 year old Post Office Tree, a national monument, can still be seen at the site, now harbouring a post box shaped as a shoe. The original Mossel Bay Stone has been moved to the National Cultural History Museum of South Africa, but a cast is in the collection of the Dias Museum. Also located in the complex are the remnants of the spring used by sailors, although the stream now flows underground. The Maritime Museum houses a replica of the caravel on which Dias arrived. The caravel arrived in Mossel Bay in 1987, a gift from the Government of Portugal. Another highlight is a map of Mossel Bay produced by early Dutch sailor, Cornelius de Houtman in 1595. The Museum is housed in the old Saw Mill Building. The Granary (now the entrance to the complex) includes an exhibition on the cultural life of Cape Coloured communities in Mossel Bay during apartheid. The Shirley Building hosts the shell museum and a small aquarium including a 476 kg great white shark caught off the coast of nearby Hartenbos. Munroshoek in the complex includes the oldest houses in town. Recently, the building in which a Cultural History Museum was housed for many years was sold and became a private arts centre. Mossel Bay’s economy has benefited significantly from its proximity to an offshore natural gas reserve. The gas is piped ashore to the ‘Mossgas’ (now PetroSA) refinery which was built in the 1980s adjacent to the town. The harbour has been used extensively for servicing these oil operations, including the maintenance of oil platforms. Jan max: 23.5°C (min: 18.2°C), Aug max: 18.2°C (min: 11.3°C); annual precipitation: 426 mm.